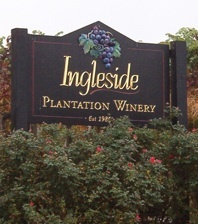 Ingleside Vineyards at 5872 Leedstown Road are on 70 acres of prime land in the Northern Neck region, not far from Colonial Beach. 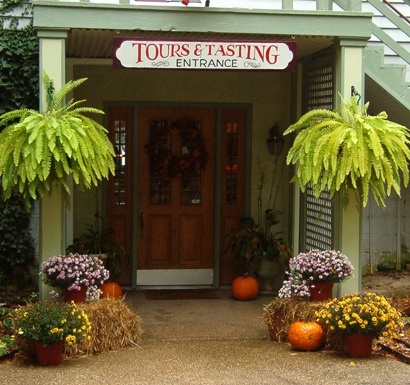 It's one of the oldest and largest wineries in all of Virginia, one of six original wineries at the time of incorporation! Acoustic Sundays are back for 2019! See our Events Calendar page for dates and times. The 3,000 acre estate has been in the Flemer family for over 100 years, the plantation having been purchased in 1890 by Charles H. Flemer. Ingleside Plantation, built in 1834, has served as a boys' school (Washington Academy), a Civil War garrison, a courthouse, and a dairy farm. 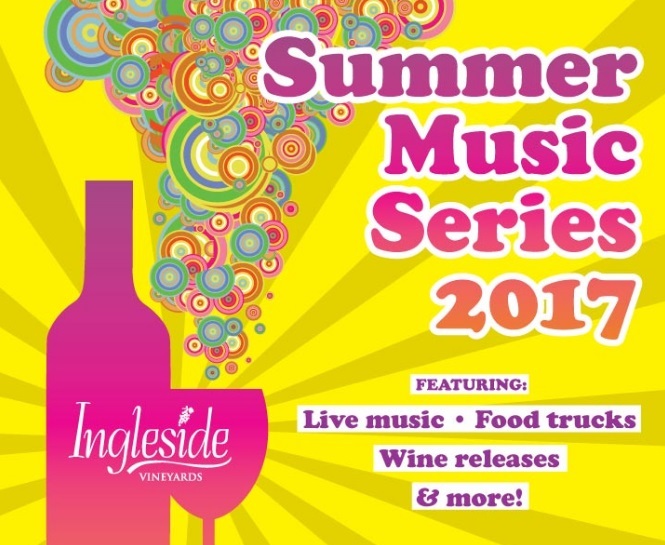 Now the property is home to Ingleside Vineyards, as well as Ingleside Nursery. These days, one of Charles' great-great grandsons is the proprietor. The winery is housed in what was once just dairy barns. Chardonnay clone 96, Merlot, Syrah, Petit Verdot, Sangiovese and Malbec. Walnut Hill is part of the original land purchased by the Flemer Family in the 1880's. 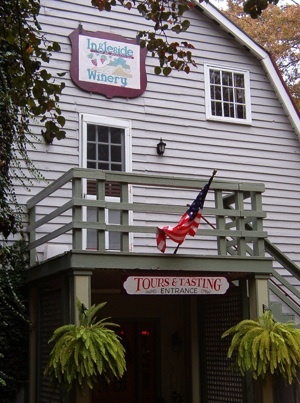 The site is part of the highest ridge in the entire Northern Neck, and these vineyards are well exposed to breezes off the rivers. Cabernet Sauvignon, Cabernet Franc, Viognier, Chardonnay, Charbono, Graciano, Albarino, Nebiollo, Temprillo and Pinot Meunier. Located behind the winery, there are additional experimental varieties and a selection of rootstocks used for grafting. Merlot, Cabernet Sauvignon, Chardonnay, Viognier, Albarino, Seyval Blanc and Norton. Some of the vines here are the oldest in the state of Virginia, having been planted in the 1970's by the founder of Ingleside Winery, Carl Flemer, Jr.
1980 saw the first commercial wines being produced here. They were made from hand-harvested grapes grown in the vineyards. The 18 varieties of wine from estate grown grapes have consistently earned top honors in wine competitions at the state, national and international levels. 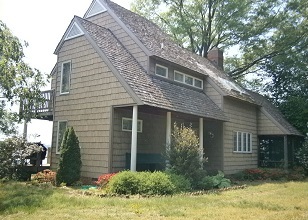 Ingleside is a great setting for a private party or wedding. They have a beautiful center courtyard area and reception room. Overnight accommodations are even available here.